What is the recommended Cozumel Deep Sea Fishing company by the Carnival Cruise? Maximize your trip in Cozumel by experiencing the fish-rich marine life of the surrounding waters of the island. Deep sea fishing is a favorite activity by expert or novice anglers who go to Cozumel Carnival Cruise Pier, where most deep-sea fishing boats are tied. Although famous for its reefs, Cozumel is also known as one of the prime spots in fishing in the Caribbean. Because of the significant demand, many companies offering Cozumel deep-sea fishing have sprouted. But which one suits your needs and budget? 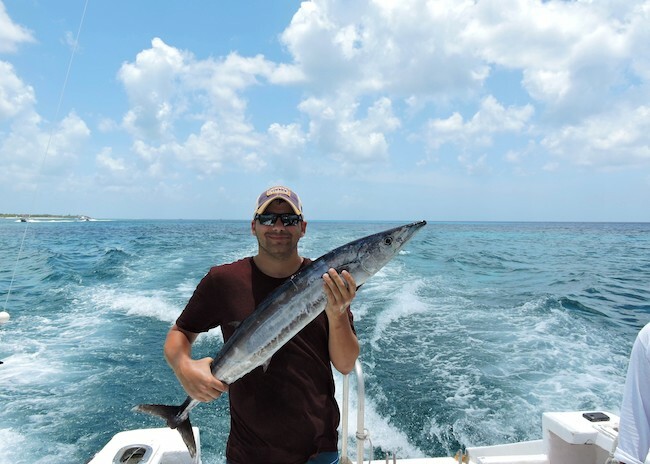 How is the Fishing Charters experience in Cozumel for Carnival Cruisers? 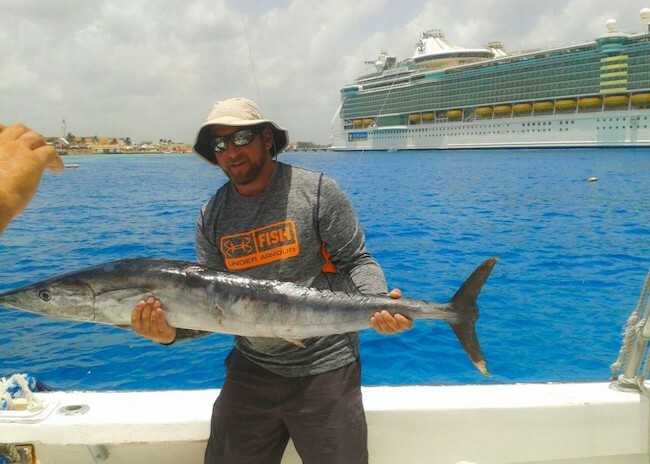 One of the best fishing charters near the cozumel cruise ship – If you are a guest of the Carnival Cruise, extend the fun you will get on the ship by jumping off and getting on a smaller fishing vessel that will take you in the middle of the deep blue. Carnival cruise offers deep-sea fishing for the entire family off the Cozumel coast. If you do catch a major billfish, however, you are not allowed to take it home as a catch-and-release program protects billfish in these waters. Your catch will be released after you have taken photos. Why is CozumelDeepSeaFishing the preferred Fishing Charter for the Carnival Cruise Line? This Company is by far, the best pick as they specialize in deep-sea fishing and has been providing fun-filled tours since 1980. Their professional fishing trips run by a seasoned and experienced captain and crews who all speak in fluent English. They know exactly the best spots in Cozumel where the big game get caught. As a tourist, since you aren’t allowed to have your fishing license, all mates/fishing guides are licensed so you won’t have to worry about anything. Their charters located in Cozumel feature several lines to ensure that you will take home a nice catch. All fishing equipment, gear, baits, drinks, and snacks come in the fishing trip. What makes CozumelDeepSeaFishing the best option for All Cruisers alike? The ship features downriggers and outriggers, and all lines are rotated throughout the trip to maximize the chances of catching the big game. Beverages, snacks, all equipment, bait, tackle, and ice come on this Cozumel deep-sea fishing excursion. The excursion includes first-class sportfishing vessel, all fishing equipment, license, and bait, complimentary hotel pier pick-up and drop-off, beer, soft drinks and water, lunch on full day charters, snacks, and English-speaking 2-man or 3-man crew. Once you have booked your deep-sea fishing trip, you have to relax and wait for the big day. The Cozumel deep-sea fishing company near the carnival cruise pier will be handling all the equipment, permits, and necessities you may have to ensure that you will give only a grand and adventurous time. © 2000 - 2019 Cozumel Deep Sea Fishing. All rights reserved.